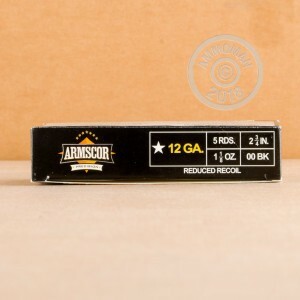 This 12 gauge shotshell ammunition from Armscor delivers great shooting with 00 buckshot at a reasonable price. 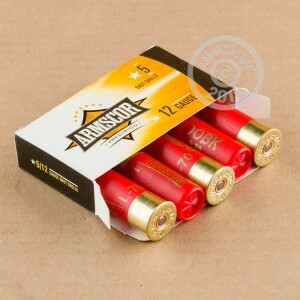 Each 2-3/4" shell fires one ounce of 00 buck. Armscor is one of the largest munitions companies in the Philippines and produces ammo in both its home country and the USA. These shells come in boxes of 5, so be sure to order multiples to get what you need! All orders over $99 at AmmoMan.com ship for free.